While the B.C. government plans to toughen up the laws prohibiting the operation of drones near wildfires, one company is being awarded for their operations of unmanned aerial vehicles. While the B.C. government plans to toughen up the laws prohibiting the operation of drones near wildfires, one company is being awarded for their operations of the unmanned aerial vehicles. 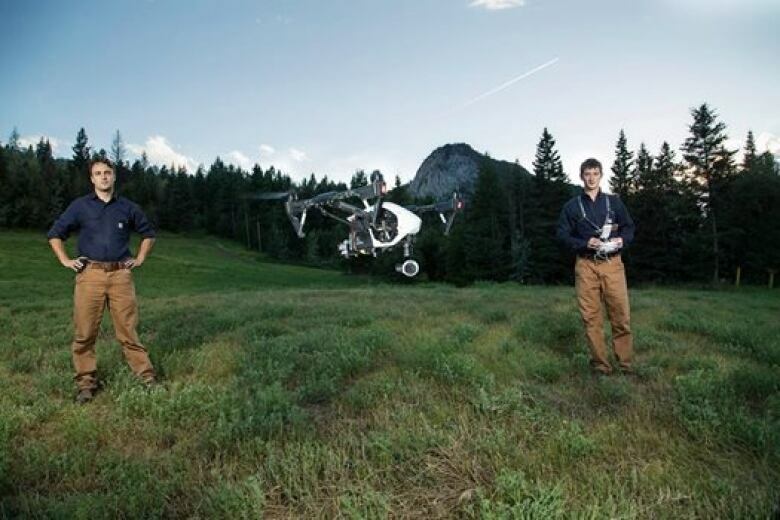 Robert Atwood and Richard Sullivan started Hummingbird Drones — an aerial imaging, remote sensing and technology development company. Last summer they partnered with the B.C. Wildfire Service to test out how drones could be used to fight wildfires. As part of that endeavour, they flew drones equipped with infrared scanning technology and gathered data that was then given to fire crews to help them focus their efforts. On Wednesday, Start Up Canada bestowed the company with the province's Young Entrepreneur of the Year award for the work they did with the B.C. Wildfire Service. "It's been an unbelievable ride, to be honest," said Atwood. The former Thompson Rivers University students were enrolled in the natural resource science program and were working as wildlife firefighters when the idea came to them. "We were on our way back from a fire deployment," said Atwood, "and we started talking about unmanned, aerial vehicles ... and the incredible application there was for them." They turned the idea into a business, and now have a staff of eight. "It's grown quite rapidly from just Richard and myself," said Atwood. The business has ventured into a trial phase with Kamloops Search and Rescue, and the owners are hoping to partner up with other industries and wildfire agencies across the country. 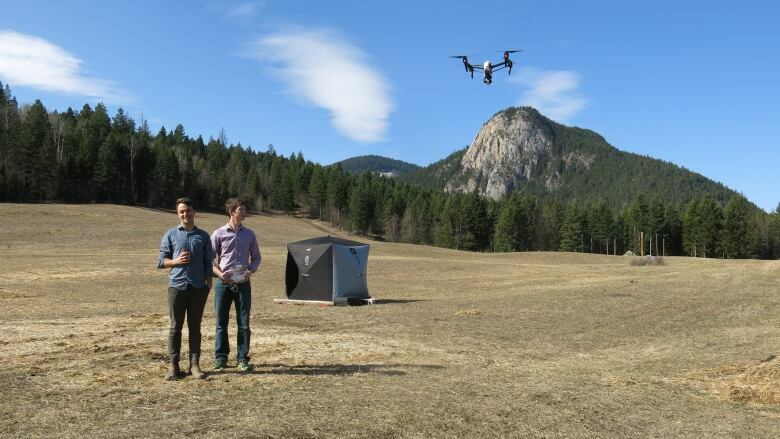 To hear the full interview listen to the audio labelled Kamloops company wins award for drones on CBC's Daybreak Kamloops. 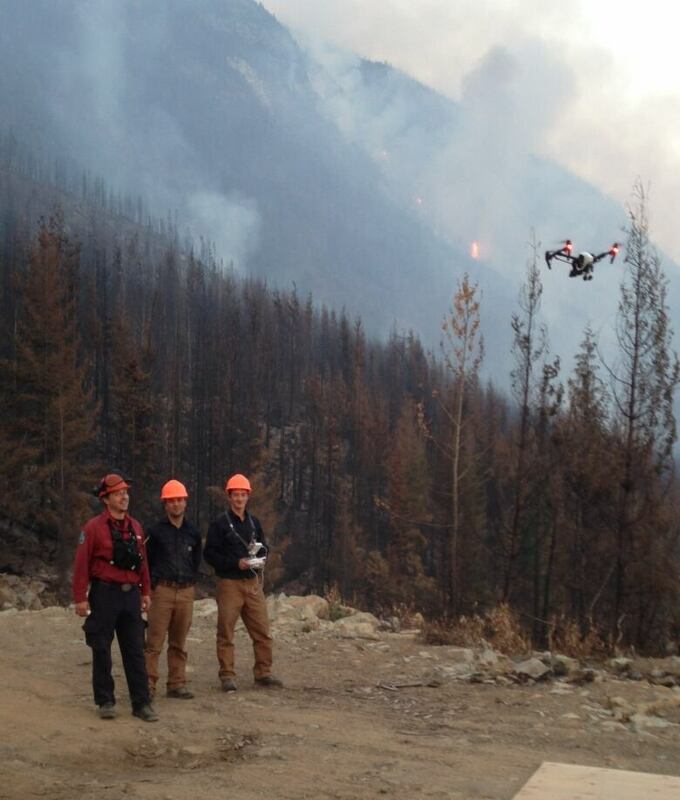 New restrictions on drones near wildfires sought by B.C.